Rock out to live music, spend a night at the movies or embark on an interstellar close-up. 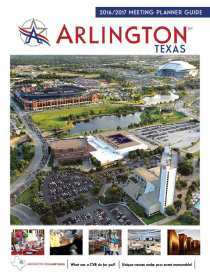 Whatever you dream up for your next event, Arlington has you covered. Our venue options range from the 1010 Collins Entertainment Center with 18,000 square feet of event space and enormous multimedia screens to the Arlington Museum of Art, where up to 500 people can attend a cultured outing. The Howell Family Farms, Arlington Music Hall, UT Arlington Planetarium and many more round out the offerings. Rather than make a seriously long list of capacities, catering policies and configurations, and force you to wade through it, we take a different approach. We encourage you to get in touch with us by any means — RFP, social media, email, voice, visit or Bat Signal (we’ll let you know the moment we have it up and running) — and let our Sales and Services Team share the possibilities.